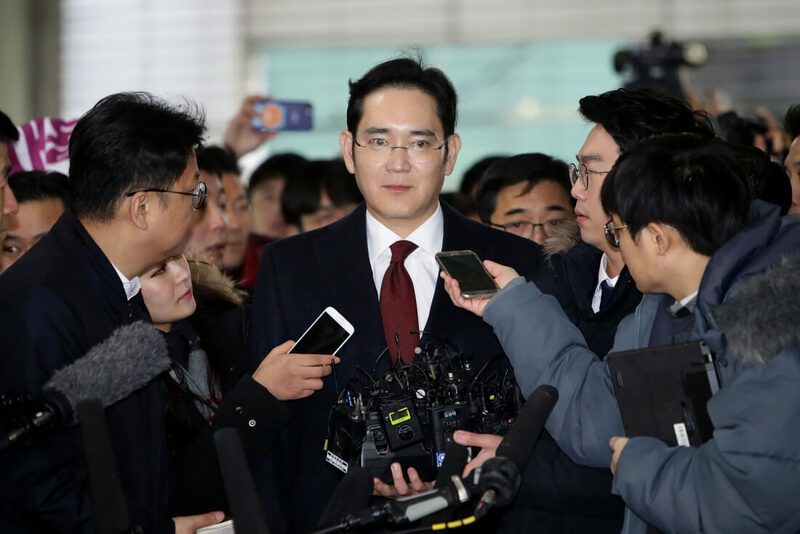 After being sentenced to five years behind bars for corruption in August 2017, Samsung Electronics vice chairman and heir-apparent Lee Jae-yong has just walked free from prison. Lee, who has been detained since February last year, was found guilty of bribery, embezzlement, hiding assets overseas, concealing profits from criminal acts, and perjury in a corruption scandal that led to the ousting of former South Korean president Park Geun-Hye. Having appealed his sentence, Seoul High Court cut Lee’s original term by half to two and a half years, though he was allowed to leave prison on a four-year probation, reports Bloomberg. Lee reportedly looked stunned when the decision was announced. “Again, I feel sorry to everyone for not showing my best side. And it has been a really precious time for a year reflecting on myself,” he told reporters. Lee’s time away hasn’t affected Samsung’s bottom line. The company posted an operating profit of $14 billion in Q4 2017, making it the most profitable quarter ever. It also knocked Intel off the top spot as the world’s biggest chipmaker for the first time in 25 years. Back in 2008, Lee’s father, Lee Kun-hee, was found guilty on charges of financial wrongdoing and tax evasion. He also received a suspended jail sentence. It isn’t clear when Lee will return to Samsung in a formal role.